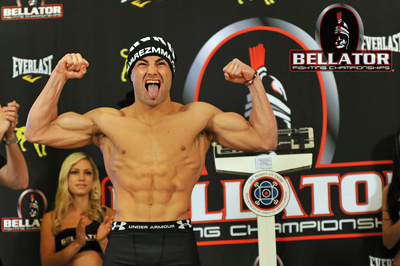 Eddie Alvarez and Michael Chandler led the way last nigh at Bellator 106 in terms of action, and the highly regarded lightweights were also two of the highest paid fighters on the card. According to multiple reports, the California State Athletic Commission has disclosed the payroll for the event, which reveals Alvarez earned $160,000 for the bout (which includes a $80,000 win bonus). The former champ Chandler, meanwhile, earned $95,000. Alvarez worked his way to a razor thin, split decision victory over Chandler, to avenge the submission loss he suffered versus the lightweight in 2011. The night’s other big earner was UFC veteran Joe Riggs, who made $100,000 for winning the first ever “Fight Master” competition. The welterweight scored a unanimous decision victory over fellow finalist Mike Bronzoulis, who earned $5,000. Here are the salary figures that were disclosed to the CSAC by Bellator. The card was hosted by Long Beach, California’s Convention Center.